The Philippines is an interesting market for online gambling. The country is divided into two distinct regions for gambling purposes. First, there's the majority of the country in which gambling is tightly controlled by the state-owned Philippine Amusement and Gaming Corporation (PAGCOR). PAGCOR operates all land-based casinos, and betting outlets across the country. Locals are welcome to play at approved PAGCOR locations and online for some forms of gambling. Filipinos can also visit any of the numerous PAGCOR betting terminals across the country and are free to gamble online at offshore websites. The laws for online gaming in the Philippines are a bit odd. In both regions of the Philippines, it's illegal for any independent operator to offer online betting to locals. However, offshore providers with no connection to the Philippines may offer their services to the Philippines. In short, there are two different sets of laws (or lack of laws) in play here. Citizens of the Philippines are not subject to any laws that ban online gambling. There was considerable debate on the legality of placing bets over the internet, but a court ruling in 2012 found that there was no piece of language in Philippine law that made it an offense to place bets. So, citizens are free to play wherever they want. Operators must play by a whole different set of rules. Any online gambling site licensed in the Philippines is restricted from offering its services to Filipinos. This has created a situation in which PAGCOR has a monopoly on land-based gambling but is cut off from its own market online. The second "region" is the Cagayan Special Economic Zone and Freeport which most people just call "Cagayan Freeport." This is the only area in the Philippines not under complete control of the PAGCOR monopoly. In the Freeport area, there are numerous independent casinos that are allowed to offer their services to tourists only. Cagayan Freeport also acts as an online gambling licensing jurisdiction. In fact, it's the only such jurisdiction in all of Asia. A Filipino gambling license is hard to get and does not allow operators to accept wagers from Philippine citizens, but it's valuable nonetheless. A license there grants access to the greater Asian area, which is a booming and untapped market. 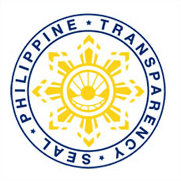 PAGCOR issues the licenses and monitors all existing licensees for compliance. Any limited company interested in getting a license can apply for one. The application itself costs $40,000 and then there's a $48,000 fee for the first year once approved. Licenses are renewed each year after that for $60,000 per year. License holders can offer their services to anyone outside the Philippines and may take advantage of the country's highly developed internet infrastructure. The close proximity of the Philippines to the rest of Asia and its high level of development make it an attractive base of operations for any company interested in tapping the Asian market.